A good rule of thumb is that no single payer should represent more than 20% of a practice's income. Most specialists rely heavily on referrals from primary care providers (PCPs) and insurance networks for patients. Consequently, they should be tracking and nurturing these referral resources. Office staff in specialty practices should ask all new patients who referred them and enter this information into the practice’s data management system. Ken Hertz, principal consultant with the Denver-based Medical Group Management Association (MGMA), recommends that specialists, twice a year, use the management system to generate reports that allow them to analyze referral patterns. Specialists should look at who is referring patients, the kind of patients being referred, and who used to be referring patients but is not anymore. “If Dr Smith referred a lot of patients to you 3 years ago, but isn’t now, you should probably find out why,” Hertz said. Specialists can do this by creating a survey and sending it to referring physicians. The survey should ask about the service provided by the specialty practice and patient feedback. 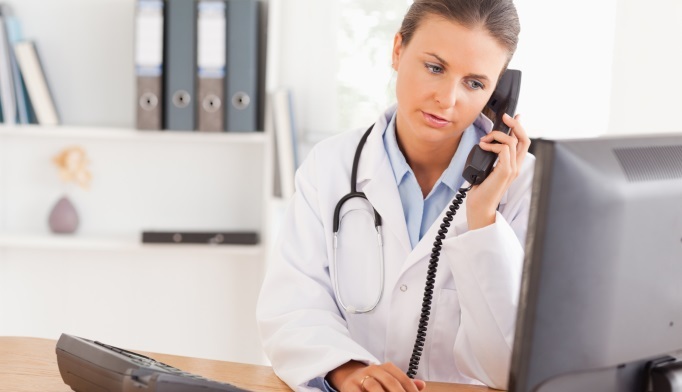 Specialists may be surprised to learn that their practice is not answering the phone regularly or wait times for appointments are particularly long. This may dissuade PCPs from referring patients or only referring patients other doctors might not take. Sean Weiss, a partner and vice president of compliance at DoctorsManagement, LLC, in Knoxville, Tennessee, said nothing is worse for referring physicians than to find out a patient could not get an appointment for months or to consistently have to call the specialty practice to get results from a consult. Assuming specialists are providing good care to referred patients, the trick to getting and retaining referrals is relationship building. It may sound simplistic, but if specialists do not ask doctors for referrals, they may not send them, Weiss said. Weiss recommends that specialists send a note annually to PCPs they currently work with to let them know how much they appreciate their referrals along with new services or advancements in the type of care they provide. “Showing that you’re at the forefront of innovation when it comes to advances in treatments is critical to maintaining referrers’ confidence their patients are receiving the latest and best possible care for their issues,” Weiss said. Another way to reach out is to invite referring physicians to a lunch and learn where your physicians are presenters. Aside from providing referring physicians with continuing education credits, it gives you the opportunity to show off your doctors’ skills and any areas of specialization. Specialty practices also need to look at the payer mix for the referred patients. Ideally, doctors should be referring patients covered by a broad spectrum of payers. If a PCP is only referring Medicaid patients but is known to have a heavy commercial insurance practice, specialists need to find out why. Specialists generally should have blended mix of payers because the commercial insurers will help make up for public insurers’ lower reimbursements. Weiss recommends a mix where commercial payers are the majority based on reimbursement rates, Medicare making up the secondary portion of the mix and Medicaid as the minority since their payment rates are the lowest and their beneficiaries tend to be less compliant with physician treatment recommendations. A mix of payers may look something like 60% commercial, 20% Medicare and 20% split between Medicaid and self-pay. Preferred provider organizations and health maintenance organizations should be in the commercial mix. Hertz said he does not believe there is any particular ideal payer mix, but a good rule of thumb is that no single payer should represent more than 20% of a practice’s income. That can be a bit of a challenge for specialty physicians because “aging Boomers are using a lot of the ‘ologists,’ so there is going to be a higher portion of Medicare patients,” he said. “You want to get best payer mix you can in the market that you are in,” Hertz said. Do the payers reimburse quickly or slowly? What is their reimbursement rate? How aggressively do they audit? How often do the payers deny claims? How cumbersome is the appeals process for denials? With this information, specialists can determine how beneficial payers are to their practice and the risk/reward they provide. If the reimbursement rate is low and only 2% of referred patients use that payer, specialists might consider dropping those patients. Many physicians have stopped accepting Medicaid in recent years, but Hertz cautions that it may not be wise to reject public payers without proper analysis.